The Divining Rod Adventure Sweepstakes is a consumer sweepstakes to win a trip for two to one of Marc Mondavi’s favorite Montana fishing spots. The Willamette Valley is a prime location for Pinot Noir and we are excited to add this new Oregon Pinot Noir to our portfolio,” said Marc Mondavi, Winemaker and Proprietor of The Divining Rod wines. 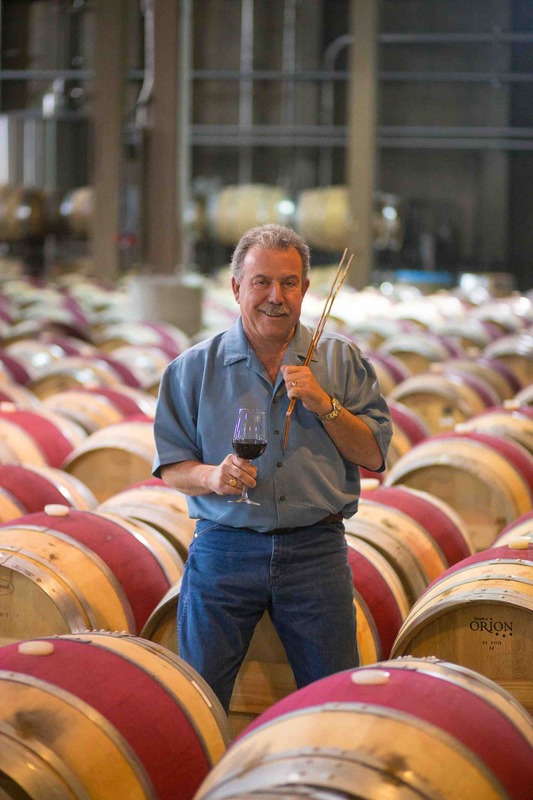 Marc Mondavi and his Divining Rod wines today added a new wine to their portfolio: The Divining Rod Pinot Noir from Willamette Valley, Oregon. The new Pinot Noir will be available in markets nationwide starting May 1, 2016. 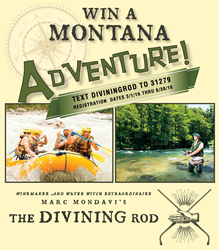 The Divining Rod is also inviting consumers to enter “The Divining Rod Adventure Sweepstakes,” a consumer sweepstakes to win a trip for two to one of Marc Mondavi’s favorite Montana fishing spots. The new 2014 Divining Rod Pinot Noir is from the Willamette Valley, Oregon, and is priced at $18.99 per bottle. The wine is balanced and complex with French oak, black cherry, cinnamon and clove aromas and flavors. Fine tannins and bright acidity in a delicate framework make the wine very vibrant and polished. In addition to the new Pinot Noir, The Divining Rod also today launched The Divining Rod Adventure Sweepstakes. Consumers can enter the sweepstakes at facebook.com/TheDiviningRod or by texting “DIVININGROD” to shortcode 31279. The sweepstakes is now open for those 21 or older and no purchase is necessary. The winners will receive three days and two nights of accommodations in Missoula, Montana, round-trip airfare, gourmet meals, wine education, and their choice of two adventure activities including hiking, running, walking, fishing, kayaking or golfing. All entries must be received by 11:59PM ET on June 30, 2016 and the trip must be taken by June 30, 2017. To review the full set of rules and how to enter: Text DIVININGROD TO 31279, visit diviningrodadventure.com or facebook.com/thediviningrod. Limit one per person, per email address, per day. − More information and wine technical sheets can be found at TheDiviningRod.com. “From water, comes wine” – never has this been truer than with The Divining Rod wines. By giving life to countless vineyards across California, Marc Mondavi quite literally “turns water into wine.” He possesses the grape growing and winemaking skills and knowledge that come from growing up in the Napa Valley, as a key member of America’s foremost wine family. But Marc’s “sixth sense” for water divining (also called water witching or dowsing) and connection with the land, put him on another level of winemaking. That’s why we say that his Divining Rod wines are more than natural, they’re supernatural. The Divining Rod Wines are owned an operated by C. Mondavi & Family, a family-owned business that has thrived for generations to produce fine wines for a variety of occasions and consumers. Built on a foundation of family values, hard work and European winemaking traditions, the winery offers a portfolio of wines for special occasions and everyday gatherings of family and friends. Day to day operations are handled by co-Proprietors Marc Mondavi and Peter Mondavi Jr., both sons of legendary Napa Valley wine icon Peter Mondavi Sr. The family is now proudly welcoming members of the fourth generation to the business, continuing a legacy started almost 70 years ago and setting a foundation for generations to come. For more information visit, TheDiviningRod.com, twitter.com/TheDiviningRod @TheDiviningRod, facebook.com/TheDiviningRod, instagram.com/TheDiviningRod and pinterest.com/TheDiviningRod. The new 2014 Divining Rod Pinot Noir from Willamette Valley, Oregon. 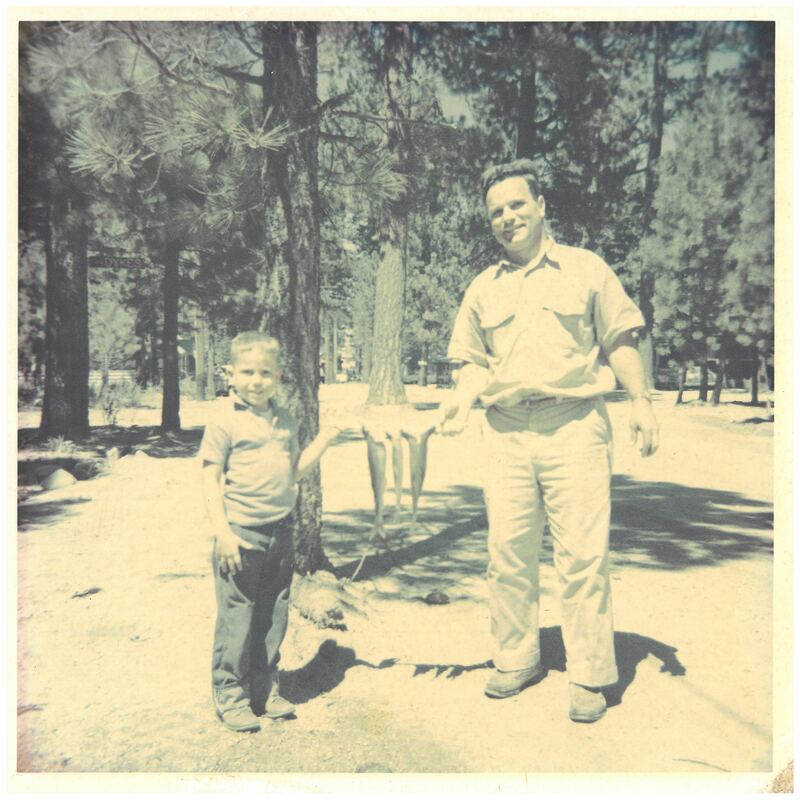 Marc Mondavi attributes his love of fishing to his father, the late Peter Mondavi Sr. (Pictured here together when Marc was a boy). Marc Mondavi's Divining Rod wines are named for his “sixth sense” for water divining (also called water witching or dowsing).